Belize City, Belize, February 18 - - The People's Referendum is now going to held at the end of the month, Wednesday, February 29th. Remember this date. It only comes every four years. 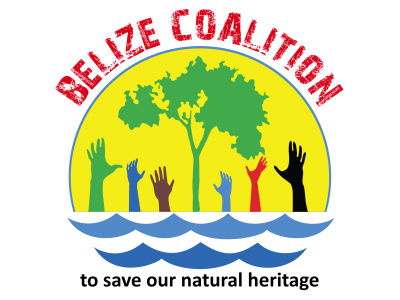 Belize Coalition to Save Our Natural Resources calls on all registered voters of Belize to come to the polls to vote on the issue of offshore oil exploration and drilling. The People's Referendum gives voice to the thousands of Belizeans denied the chance to vote on the issue of offshore oil exploration and drilling. This resulted when the Elections & Boundaries Department, solely on the basis that the petition signatures were inconsistent with those on the record cards the Department held. In announcing the new date for the People's Referendum, the Coalition reiterates its invitation to all Belizeans to support this historic and unprecedented effort, recalling the words of Belizean Hero the late Hon. Philip Goldson, "The time to save Belize is before we lose it!" The People’s Referendum is in response to the call of the public that action must be taken despite the disqualification of 8,000.00 petition signatures of the 20,000 who signed asking that a referendum e held for the voters to determine whether we should have oil exploration and drilling offshore Belize. The Referendum date is Wednesday 29, 2012 and it will be held country wide. There will be polling stations in every electoral division. The exact locations will be announced soon so people need to stay tuned to the local media to hear the details in their area. Registered voters only will be allowed to vote once but can vote in any polling area. Voters will be dipping their fingers in ink as a way to show who has already vote and once that voter has voted that will be entered into the database to make sure a onetime vote only. All will be done to ensure the integrity of the process. Polls will be opened as early as 6:00 am and as late as 8:00pm. This time is in consideration of the fact that it is not a public and bank holiday and cognizant of the fact that many will be at work during normal working hours. We want to make sure that people can use their free time to make it to the polls and vote on this issue. However, we call on employers to allow their employees time to go out and vote on the issue since it is a national issue and process in which every Belizean is democratically entitled to participate in. For people to get involved and go out on Referendum Day and vote No offshore drilling in this country. Note : This is an initiative spearheaded by the Coalition to Save Our Natural Heritage – and all the partners now coming on board including the business community.